One member in our testing team has a 76 year old mother, who has been suffering from severe lumbar, hip, and mid-foot Osteoarthritis (OA) for almost 20 years. When we received the arthro360 test capsules she jumped at the idea of giving them to her mother. Neither of them had been aware that such a product was on the market. 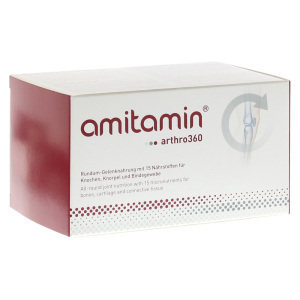 Amitamin arthro360 is a non-prescription food supplement. It helps reduce the painful inflammation experienced literally by millions most commonly in the major joints (feet, knees, hips and back). In 80% of cases the pain is caused by osteoarthritis (OA). It is of course possible to buy glucosamine (better glucosamine sulphate), chondroitin (ideally also in sulphate version) and omega-3 supplements on the high street. But you will be popping half a dozen pills before you know it. In 2014, researchers showed that combine those three nutrients and also add the super antioxidant pine bark extract into the mix you get a synergistic effect, where the combination of nutrients really reduces OA symptoms, i.e. inflammation and pain and improves circulation quite dramatically. arthro360 is manufactured by a company called amitamin in Germany. It includes exactly this glucosamine, chondroitin and omega-3s mix, pine bark extract as well as several anti-oxidants and amino acids. We did some research and found the studies about pine bark extract and joint health. There is a medical paper, which indeed showed that in three months “56% of the patients experienced improvement of their general symptoms and 79% of painful feet (in foot OA sufferers) improved“! This research demonstrates that if you are giving a worn out joint the right nutrients, it may begin to recover after a few months. arthro360 has been produced around this research. 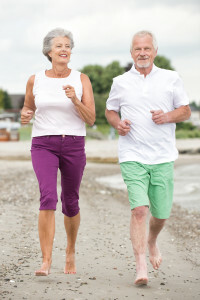 It is mont to help restore and protect the bones, fluid and connective tissue of the joint. So why the NHS does not use pine bark extract to treat all those elderly people, who suffer from OA and RA? We wont go into conspiracy theories here, but it does demonstrate that one can’t wait for the government to look after you. Essentially, the NHS will treat the symptoms with pain killers and give you so-called Non-Steroidal-Anti-Inflammatory Drugs (NSAIDs, such as Celecoxib). Unfortunately, these drugs have strong side-effects. They increase the risk cardiovascular disease, more specifically the rate of strokes and heart attack related death rates. Our tester’s mother has been taking arthro360 for three months she seems to have improved quite a lot for the better. Considering that she is a long-time sufferer of OA this is quite an achievement and she is very happy about it. Just six months ago she wasn’t able to stand up by herself and walk without experiencing quite a lot of pain. She now says she enjoys walking and getting out of her flat more than she has been for years. She has not needed to take Celecoxib and more has gradually been reducing her pain killers to about than half the dose from three months ago. One box includes 120 capsules packed individually in blisters. There are two different types of capsule in the box. Each day you must take four capsules in total: three nutrient capsules and one omega-3 capsule. This will last for exactly one month. 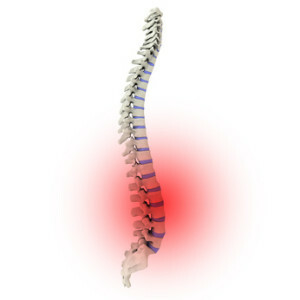 Joint support products have to be taken on an ongoing basis. Only then can the body benefit continuously from the nutrients and repair the old joints over the course of months or years. One single months costs £39.95, but you get a much better deal if you buy three boxes or more. For three boxes the total order comes to 89.95 or £1.00 per day over 90 days. Directly from the manufacturer amitamin.com/uk. The purchase process on the website is very straight forward. You can pay with PayPal or Credit Card. The test order package is tracked and arrives in 3-4 days shipped from Germany. 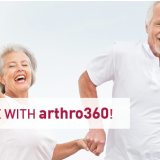 We were impressed to discover that arthro360 is registered with the German central pharma product database. Unlike many supplements from outside Europe, ie. the USA, that means that arthro360 reliably includes what it says on the ingredients list. Anyone who either suffers from OA or RA or who knows or cares for someone who does, amitamin arthro 360 is recommended. Everyone is different and it may or may not work, but it is worth a try to improve that individuals’s quality of life. Our testers mother will certainly continue to take it. Of course her OA is still there, but she is able to move around much better than before, which makes her happy. And this is priceless.